On the eastern shore of Staten Island, in the village of Rosebank, there once were open fields, where wild rosebushes grew, interspersed by blocks of neat wood frame houses. Each house almost always had a fig tree in the front yard and a vegetable garden in the back. One of the more familiar sights in the neighborhood was an energetic priest, Rev. Antonio Catoggio, Pastor of St. Joseph's Church, riding his bicycle through the unpaved streets. Often he was on his way to "the beach" to make a sick call to one of his homebound parishioners. South Beach consisted of clusters of small bungalows near the waterfront. But during the summer months, the population would swell with vacationers. As a summer resort, South Beach had it all, except a church. Father Catoggio made due during the period from 1912 to 1914 by offering Mass at DeMaso's Inn on Old Town Road, today, respectively known as the Crystal Room and Olympia Boulevard. In 1914, Father Catoggio felt it was time that South Beach should have a chapel of its own. He sought donations from the beachfront businesses and from some of the wealthier summer residents, and even put up some of his own money toward the purchase of a plot of land on Sand Lane that once had been a back lot for silent films. On that lot-the same site of the present church on Sand Lane - he built a wood frame chapel. The cornerstone of the chapel bears an August 30, 1914 date, which marked the establishment of the chapel as a mission church of St. Joseph's Parish in Rosebank. For thirteen years this chapel served the community. By 1927, the South Beach community was ready to become a parish in its own right. The Archdiocese of New York selected "Holy Rosary" as the name of the new parish because of the predominantly Italian community's devotion to Our Lady if the Rosary. 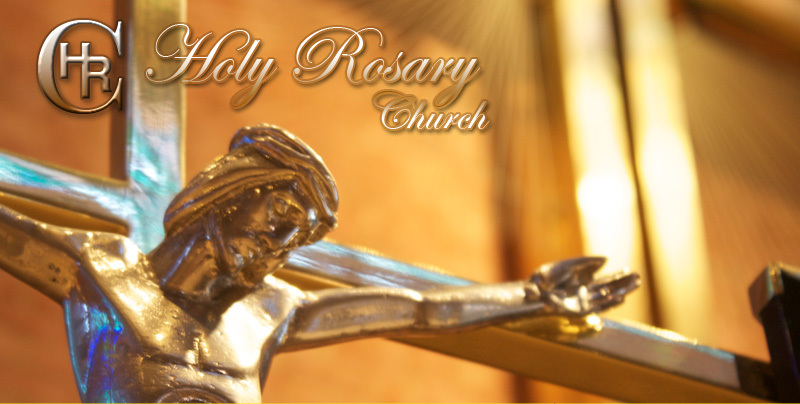 Holy Rosary Church was established as a parish on September 23, 1927 with the appointment of the Rev. Dominic Epifanio, a native of Italy who had served 27 years as a parochial vicar at Old St. Patrick's cathedral in Little Italy, as pastor. Father Epifanio's first undertaking in his new parish was the construction of a rectory. For almost two years, until the rectory was completed, Father Epifanio resided at DeMaso's Inn. Father Epifanio also initiated a number of fundraising events, notably bazaars, to raise money for his new parish. Soon the parish raised enough money and began to build a community hall under the church - not an easy task since this involved "raising" the church structure. The hall was named the Rosary Lyceum. This hall, the former location of the Arrochar Friendship Club, was the scene of civic, social and religious functions for many years. For a period it was used as a gymnasium, where the boys played basketball. Later on it was partitioned into classrooms, used for religious instruction, and in 1955 the first classes of Holy Rosary School were conducted there by the Sisters of Charity, while construction was completed on the school building. Before his fifty-first year of priesthood and death in 1947, Fr. 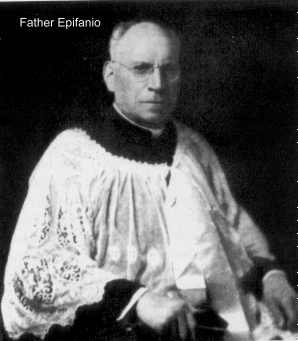 Epifanio almost saw the new church burn down in a fire in 1945. During that blaze, the heroic pastor rushed into the burning building to retrieve the Blessed Sacrament from the tabernacle. Fortunately, the damage was not too extensive and the hard work of parishioners saw to it that the church was repaired within a few months. The Post-War Era saw many GI's settling in the area. The parish boundaries expanded to Hylan Blvd. The challenge of Rev. Henry W. Forrester, the second pastor of Holy Rosary, was to ensure the Catholic education of the young in the parish. Shortly after he was appointed pastor in 1947, Father Forrester began a series of fundraisers and was able to purchase a parcel of land near the church on Sand Lane. The idea was to build a school adjacent to the Church and rectory; however, the Archdiocese of New York called for a school building to be laid out horizontally, and the Sand Lane site was inappropriate for these plans. A search committee was formed and they scanned the neighboring streets until they discovered just what they were looking for on the corners of Jerome Avenue and McClean Avenue. Father Forrester initiated a building-fund drive in the summer of 1954. Through this initiative he was able to purchase the lots where the present day school, rectory, and parish center are located. On February 20, 1955, city and church officials joined with hundreds of South Beach residents to break ground for the new school. The dedication of the new school by Francis Cardinal Spellman was held on April 26, 1956. The following September the Sisters of Notre Dame de Namur arrived in the parish to begin the ministry of educating the young. Meanwhile, the parish began using the school's auditorium for Mass since the church on Sand Lane Church was proving too small. The year concluded with Father Forrester as the first priest in Holy Rosary's history to become a monsignor. As a successor to Monsignor Forrester, Francis Cardinal Spellman appointed the Rev. 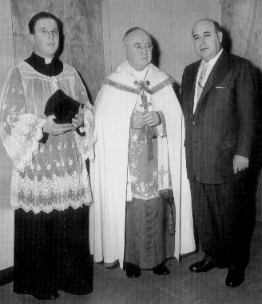 Robert Mazziotta as Holy Rosary's third pastor in the spring of 1963. During the exciting years of the second Vatican Council, his major concern was for the crowded condition of the school and the Sisters, who were using the top floor of the school as their living quarters, since there was no convent available to them. The new pastor started a fundraising drive for a new school wing and convent. The result was the construction of a new convent and an eight room addition to the school by the end of 1965. Thanks to the foundations laid by Monsignors Forrester and Mazziotta, today the parish school is served by a principal, an assistant principal, full-time teachers, part-time teachers, aides, secretaries, and custodians in order that it might educate parish students from Pre-K to grade eight. Meanwhile, as the Confraternity of Christian Doctrine (CCD) program for students attending public school grew a full-time director of Religious Education was required. Holy Rosary moved its program from Wednesdays to Sunday mornings to allow the children to attend Mass together and then receive a full hour of instruction in the Catholic Faith. Presently, Sr. Catherine Shanahan, S.N.D. de N., who began her service at our parish in 1972, directs Holy Rosary's School of Religion. For her many tireless years of service, the school gymnasium has been renamed the Shanahan Gymnasium in her honor during the summer of 2001. Monsignor Mazziotta also saw the growth in parish organizations such as the Legion of Mary (founded in 1962), Rosary Altar Society, Youth and Adult Choirs, Sports and Youth Programs, Home School Association, Madonna Council of the Knights of Columbus and Columbiettes. 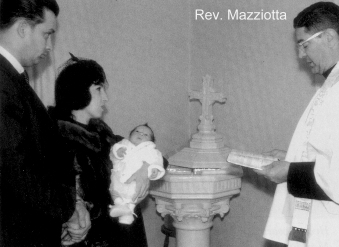 When Monsignor Mazziotta was transferred in 1974, Holy Rosary was again fortunate with the appointment of its fourth pastor, Rev. Cosimo Fazio. One of his first projects was to institute an Italian language Sunday Mass at the church on Sand Lane. He also helped open a Senior Center in the lower church, first known as the "Guiseppe Mazzini Senior Center." It is still in operation, though now known as the "Arrochar Friendship Club." In 1977, Father Fazio presided over the Golden Jubilee of Holy Rosary and all the activities which marked that special event in the life of the parish. The Anniversary culminated in the Mass celebrated by Terence Cardinal Cooke in which Rev. Augustine DiBlasi gave the homily. That same day, discussion on the need for a new larger church progressed. 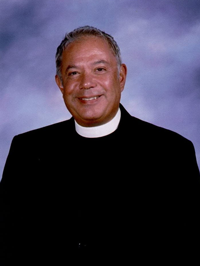 When he departed in 1984, the parish received its fifth pastor, Rev. Robert Brucato. 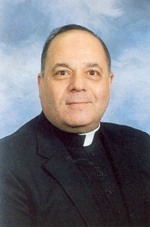 In 1986, Father Brucato was elevated to "Monsignor" and began to lay the groundwork with the Archdiocese of New York and parishioners for the construction of a new church on Jerome Avenue. He organized a Steering Committee and encouraged a "Design Competition" among several architects to devise a plan for the proposed church. Rev. Richard J. Guastella was assigned as our sixth pastor. When he arrived in 1987, Father Richard said he was given a mission by the people of Holy Rosary, which was simply, "Build us our Church." After four years of hard work by our Father Richard, parish staff, and many of our parishioners, which included fundraising efforts and long hours of architectural and building committee meetings, our new church was completed in March of 1991. The formal dedication was held with great joy and presided over by John Cardinal O'Connor on April 20, 1991. Father Guastella was named a monsignor in 1995 by Pope John Paul II. With the opening of the new church, our parish has experienced a second spring. Under the pastoral care of Monsignor Richard we have witnessed a growth in the worshiping community as well as in the school and religious education program. Expanding ministries and activities, such as the creation of a Parish Council, and increasing lay involvement in the life of Holy Rosary are all signs of hope for the future. In the meantime, the original church is still in use on Sundays and weekdays, and kept in order by the longtime parish sacristan, Ignazio Pitaresi, known to all asNatty. In 1993 the present rectory, formerly the convent, was renovated on its first floor. The main office was updated and three new offices, a conference room and small chapel for prayer and meditation were created from the large convent chapel. All this served to accommodate the growing needs of the parish. Further rectory improvements took place in 2001 and 2002, including the tiling of the entrance and hallway, work on the front walkway, and renovation of the dining room. In 1996, the school building was renovated to include two additional classrooms, a new faculty room and new administrative offices for the school and religious education program. Because of this continued growth in our parish, a proposal was brought to the parish Council in April 1997 which led to the formation in June of an Exploration Committee to study the feasibility of a new Parish Center. There was consensus regarding the need for such a structure and on Sunday May 30, 1999 Bishop Brucato returned to preside at the groundbreaking for the new building. The Center was named for Father Dominic Epifanio, our founding pastor. Said Masgr. Richard, "Through Fr. Epifanio's ministry and the faith and charity of the people whom he served, the roots of our parish were firmly planted in Jesus Christ!" The Epifanio Parish Center now houses the Arrochar Friendship Club. In addition, the 23,000 square foot building has two pre-K classrooms, four meeting rooms, a gymnasium, and an atrium that can be used for social and formal gatherings. On Saturday January 6, 2001, the Feast of the Epiphany, Bishop Patrick Sheridan presided at the Solemn Mass of Thanksgiving for the Blessing of the father Dominic Epifanio Parish Center. Holy Rosary's history continued with the celebration of our 75th Anniversary, which began on the Feast of Our Lady of the Rosary, October 7, 2001 and ended on the same feast in 2002. The opening celebration began in the morning at our roots in our original church on Sand Lane, where Msgr. Guastella celebrated Mass. In the afternoon, a procession, with representatives of the various parish ministries and organizations, marched from the church on Sand Lane to the church on Jerome Avenue where Bishop Brucato was the celebrant and homilist at the 5 pm Mass. Several Social events marked the parish's Jubilee, including a formal dinner dance, dinner-musical presentation by Youth Ministry, and a weekend retreat. The closing of the 75th Anniversary year was Sunday October 6, 2002. Bishop Brucato presided at the 1 p.m. Mass of Thanksgiving and Father Walter Modrys, S.J. gave the homily. Prior to the Mass, the Blessed John XXIII Cloister, Holy Rosary's Prayer Garden located next to the rectory, was blessed. Many of the items within the garden are dedicated to the memory of loved ones who died in the terrorist attack on the Twin Towers on September 11, 2001. Holy Rosary's 75th Anniversary coincided with the 40th Anniversary of the opening of the second Vatican Council. As we reflect on who we are and how God is calling us to reach out to our community, we pray that the faith we proclaim through our worship of God and service to one another may continue the mission of Holy Rosary into the future. On August 1, 2008, Holy Rosary was appointed its seventh pastor, i.e. Father Robert Aufieri. "Our goal is to offer you an opportunity to discover the treasures that are found in our vibrant community of faith, charity and service. Our hope is that you will visit us in person and experience the warmth that is the hallmark of our spiritual family." I hope this web site will offer you an insight into our worship, parish life and ministry of service. Listed are the various activities and programs that occur here at Holy Rosary Parish. If you are a long-time parishioner, you may be surprised to find some of the newer activities and programs. If you are a new parishioner, this web site can assist you in many ways. It is my hope that it will convey Holy Rosary's spirit of hospitality, as well as an invitation to participate in the activities of the parish. I also extend to you an invitation to register in the parish. Registration is an important element in enabling the Pastoral Staff to meet the needs of parishioners in our parish family. On August 1, 2013, Father Michael Martine was appointed by Cardinal Dolan to be the Pastor of Holy Rosary Parish where he looks forward to serving the people of South Beach to the best of his ability. Father Michael Martine was born in Brooklyn to Gustave and Eileen Martine. He was raised in the Prince’s Bay section of Staten Island and attended Saint Joseph Saint Thomas grammar school in Pleasant Plains. Upon graduation from Monsignor Farrell High School, Father entered the Saint John Neumann Seminary Residence in Riverdale, the Bronx while pursuing his undergraduate degree at Fordham University. Upon his graduation from college, Father spent four years of theological study at Saint Joseph Seminary in Yonkers and was ordained to the priesthood on May 17, 1997 by John Cardinal O’Connor. To all who visit our web, know you are most welcome to participate in some of our activities here at Holy Rosary. I look forward to your presence at our Eucharistic celebrations. Excerpted, updated, and edited from Holy Rosary Church: A History in "Dedication" by Diane Lore Palladino and Holy Rosary- A Story of Faith, Worship and Service by Grace M. Murphy. Additional information also added from a letter of Sr. Linda Isola, P.B.V.M.